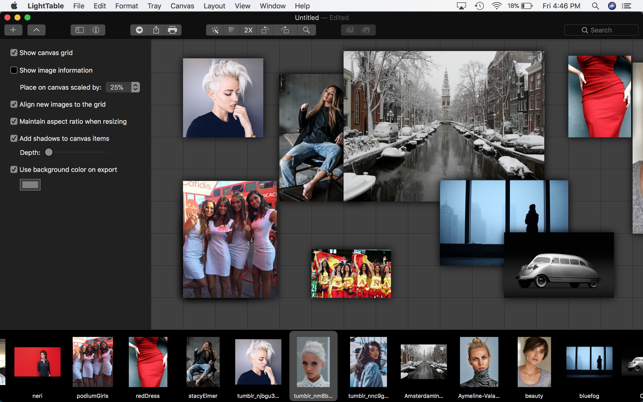 LightTable gives you an unlimited virtual canvas to layout, inspect and compare images. Items can be resized, repositioned, layered and aligned allowing you to discover new storytelling perspectives. 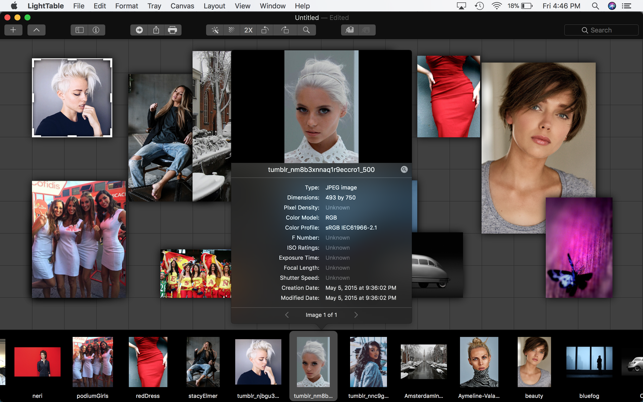 LightTable is an essential tool for photographers, editors and designers. The virtual canvas automatically expands to accommodate any number of images. 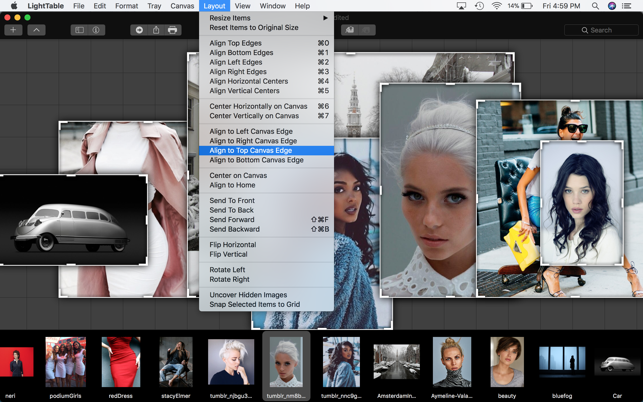 Align, resize or re-order items or groups of images relative to the canvas or other images. 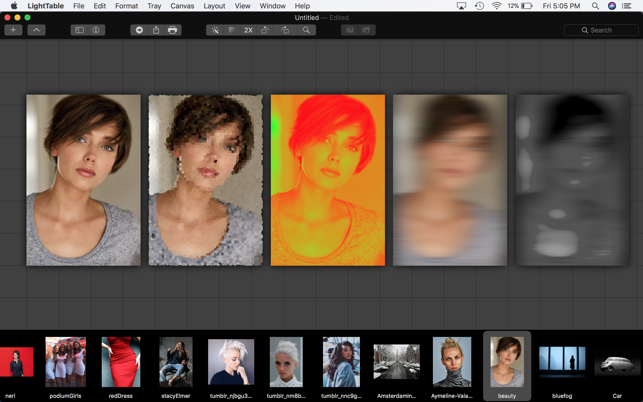 More than 70 built-in image effects are available to apply to items on the canvas. Duplicate, replicate, uncover and re-align items using built-in canvas automation functions. 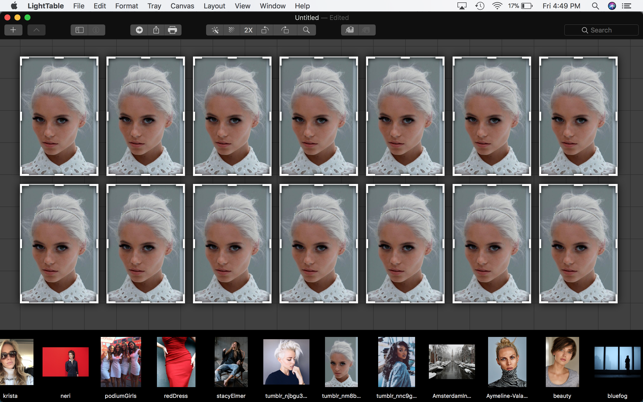 Drag'n drop (or copy) high-resolution images directly from LightTable to another application or the Finder. 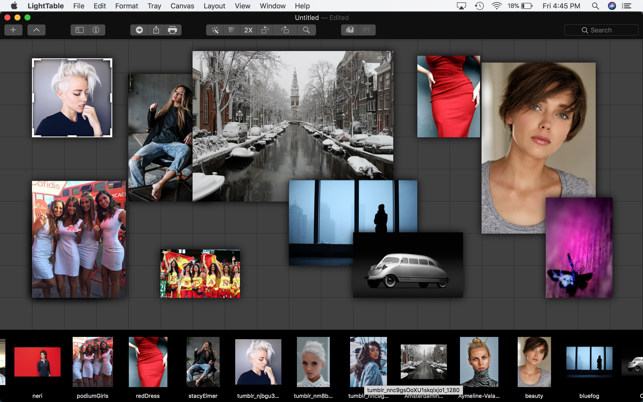 Capture the entire canvas layout as a single image which can then be exported in a variety of formats. Share your canvas with other applications, the Finder, Facebook, Twitter or other internet services. Use the copy and paste features to quickly replicate settings from one canvas item to another. 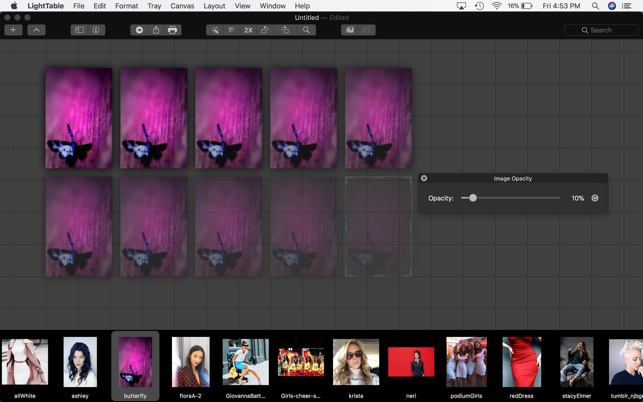 Find by Name lets you quickly locate and selected images placed on the canvas.